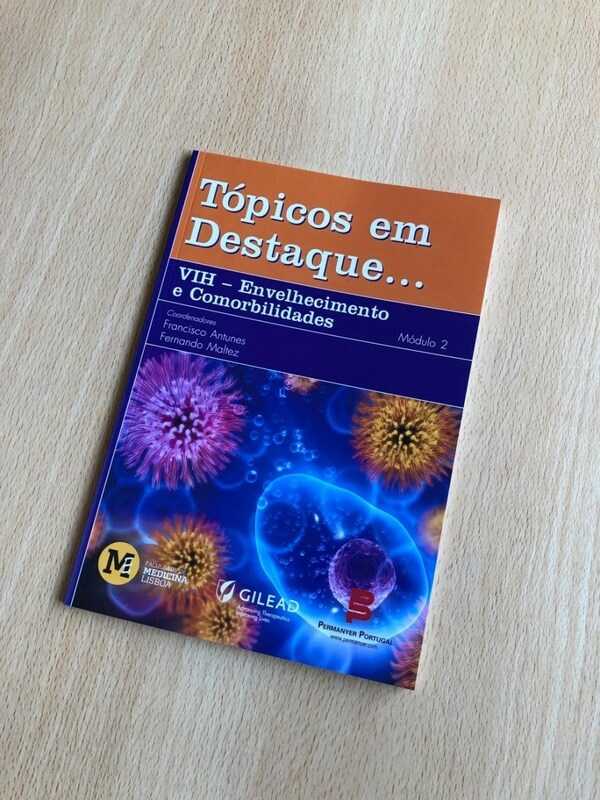 Module 2 of “Featured Topics…HIV – Ageing and Comorbidities,” a book coordinated by Francisco Antunes and Fernando Maltez, from the Faculty of Medicine of the University of Lisbon, has been published. Module 2 focuses on kidney and bone comorbidities, neoplasms not associated with AIDS and co-infections by the hepatitis B and C viruses. The authors are Francisco Antunes, from the Institute for Environmental Health of the Faculty of Medicine of the University of Lisbon; Fernando Maltez, from the Infectious Disease Department of Curry Cabral Hospital – Lisboa Central University Hospital Centre and professor at the Faculty of Medicine of the University of Lisbon; Rui Sarmento e Castro, from the Infectious Disease Department of the Porto Hospital and University Centre, and Aida Pereira, from the Infectious Disease Department of Santa Maria Hospital – Lisboa Norte University Hospital Centre. This and the other three books in the series “Featured Topics” that have already been published – “Featured Topics…HIV – Protease Inhibitors,” “Featured Topics…HIV – Integrase Inhibitors,” and “Featured Topics…HIV – Ageing and Comorbidities,” Module 1 are available at the Central Library of the Faculty of Medicine.